If you want to have a successful fishing outing, you need to bring your best friend. I don’t mean your buddy from high school! I am talking about the Lowrance Fish Finder Elite-3X with the transducer. It’s such a fantastic device at such a great price that I almost feel bad for the fish out there. Just about anybody going out on the water can afford this fish finder and get on top of some fish. It’s compact and economical. Perfect for a kayak or a small motor boat. It will give you an accurate reading of the depth, water temperature, bottom structure and fish. It’s lightweight, durable and easy to install. The only downside to having this fish finder? Now you won’t have an excuse for why you didn’t catch any fish! I’ll be giving you enough information here to decide if this Lowrance GPS-Fish Finder with the transducer is the right one for you. Let’s start with the size of the unit. The size is 10 inches high by 8 inches thick by 5 inches wide. It weighs 3 pounds. With every ounce being important in a kayak, for example, you don’t want to add unnecessary weight. It may be small, but the display is accurate. No need for a heavy unit with a big screen. The dual frequency will help get you the details you need depending on the depth of the water. In under 200 feet, the 200 kHz frequency zeros in on a small area under your boat giving you a more focused view. Fish arches are visible and easier to see individually. Over 200 feet of water and you want to switch to 83 kHz frequency. The conical coverage is great for covering large areas and spotting masses of fish. Switching between the two is as simple as pressing a button. When you first get started with using a fish finder, the fish ID function can be handy. It takes a little while to get used to identifying the arches of fish and can be confusing. Is that a stick or a fish? With the fish ID, you don’t have to ask! Seeing a fish shaped icon in place of an arch can take the guesswork out of it. Zooming in on an area is easy and helpful. Fish close to the bottom might not show clear arches. Zoom in on that area, and you will get a better view. The viewing angle of the unit is easily adjustable. You can get it wherever you are most comfortable. It is easy to read the display no matter the angle. It doesn’t matter how bright the sun is, either. You will be able to see all the details on the screen. As with most things technical, you want to make sure that you understand how best to use the product to get the most out of it. 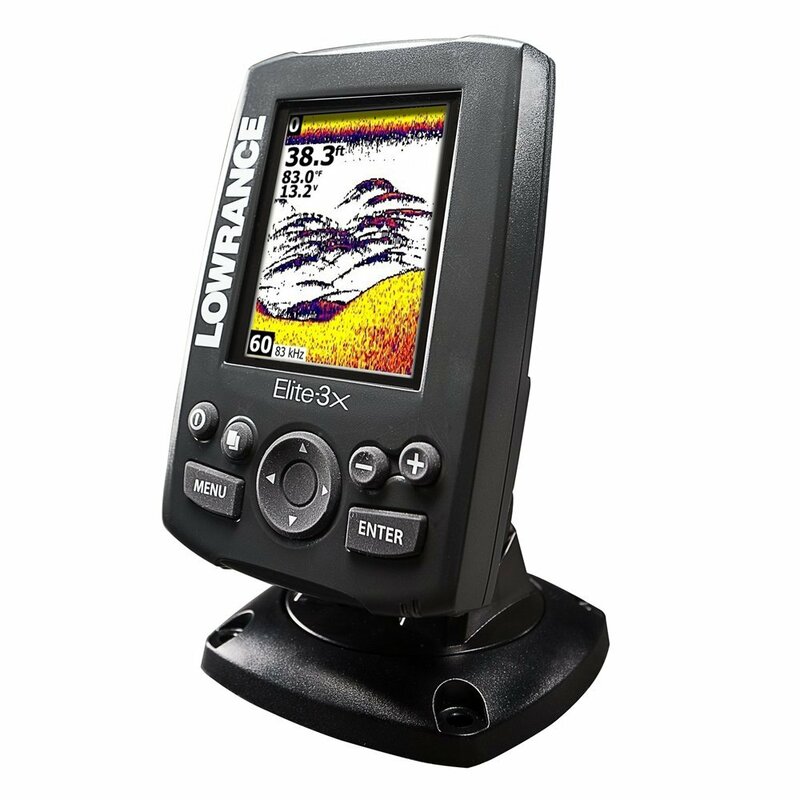 The Lowrance Fish Finder Elite-3X with the transducer is no exception. Before you even get out on the water, make sure you read up on how to understand the readings. When you first get out, you will-will see many different shapes and colors. Without any context about what you are seeing, it will be hard to decipher those readings. Watch a video online if you need some more instruction beyond what the manual says and you will have more success. Most negative reviews that you might read are usually from improper installation. To make sure your unit performs as expected, make sure you do a proper installation. If you have, it installed inside your hull, ensure that there are no bubbles in the epoxy. Also, pay attention to where on the hull the transducer is placed. I was getting bad readouts and thought there was something wrong with it. I brought it into the store where I got it, and they told me it was mounted too far astern in my kayak hull. There were too many bubbles washing right under the transducer affecting the reading. Mounting it just a few inches back resulted in a correctly performing sonar. Don’t go too fast! Even though Lowrance says that it will perform at speeds up to 75 mph, I would not recommend that. The faster you go, the more difficult it is to get a good reading. 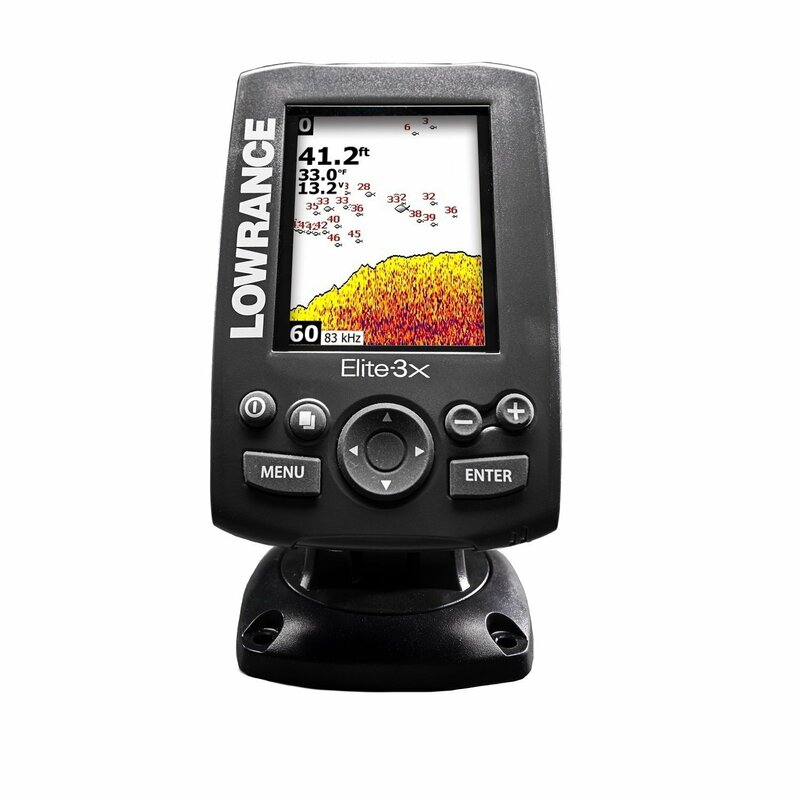 Is the Lowrance Fish Finder Elite-3X with transducer worth it? If you are using it on a small boat or kayak, you will be amazed at the performance you get for the price. In addition to the fish arches, seeing the bottom structure so vividly will improve your fishing dramatically. Your fishing outings will be much more successful thanks to the accurate readings you will be getting. You’ll wonder how you fished without it!